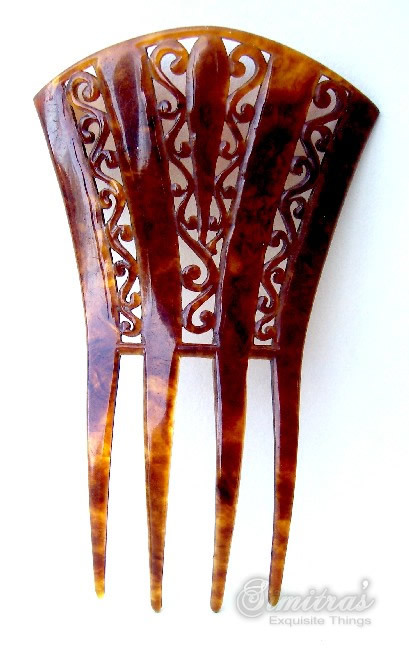 This handsome mantilla style hair comb is made from faux tortoiseshell celluloid and dated from approximately 1890 – 1910. It has a pretty pierced openwork design based upon palm like motifs with panels of scrolled openwork. Is has an attractive scalloped profile. By the late 19th century genuine tortoiseshell had become an expensive luxury material and was widely imitated by celluloid faux tortoise effects. 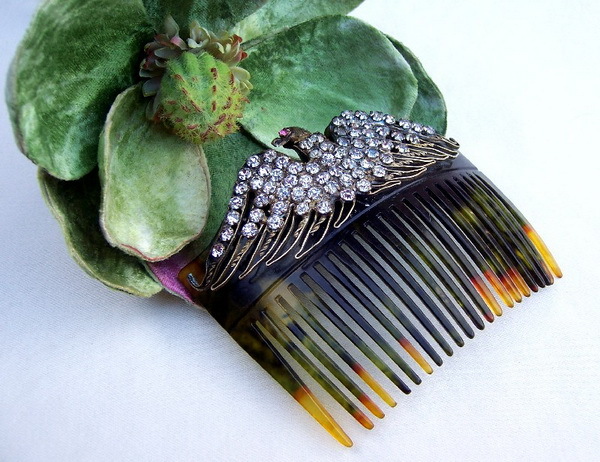 This handsome late Victorian hair comb is of the type popularly called a mantilla comb, because it resembles the ornaments which are worn by Spanish ladies in their native dress. 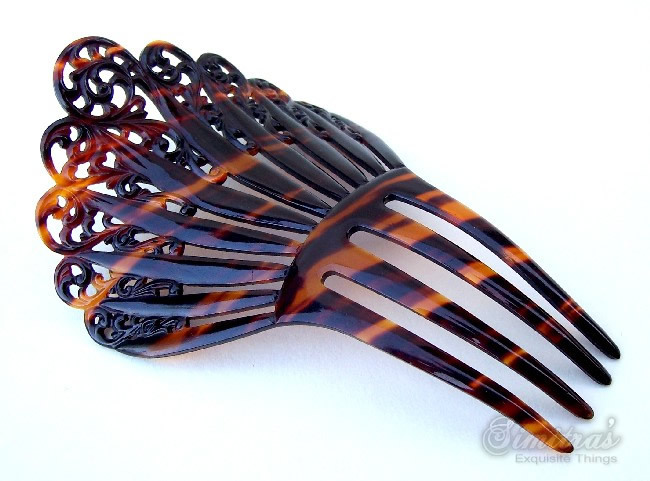 Such combs became very popular from the 1870s with the opening of the opera Carmen. They remained in fashion well into the 20th century. This one has an openwork design with solid panels alternative with those featuring open scrollwork. By the late 19th century genuine tortoiseshell had become an expensive luxury material and was widely imitated by celluloid faux tortoise effects. Picture 6 is from a contemporary photograph and show how large mantilla combs like this were worn standing proud of the head.